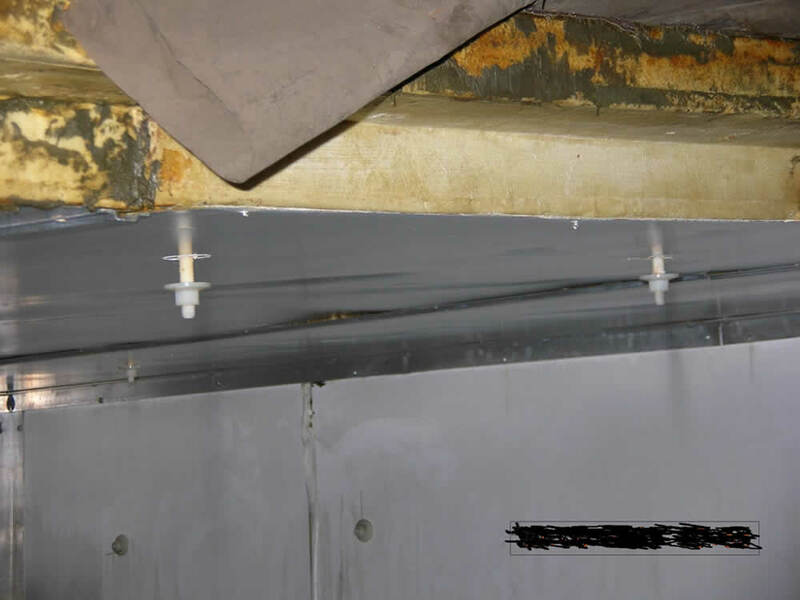 Structural failure of cold store ceilings due to fatigue and corrosion. HSE has recently completed a fatal accident investigation following the failure of the ceiling of a frozen food store. Two men fell to the floor of the store when insulation panels separated from the steelwork, which supported the ceiling. One of the men died from his injuries. The store was constructed in the 1970s. The insulation panels consisted of a sandwich of steel sheets bonded to polyurethane foam. These were bolted to a metal support frame, with engineering grade plastic bolts. The manufacturer of the panels and bolts is unknown. The design is believed to have been common and there are likely to be many of these stores still in use. Following the accident, the investigation revealed that the bolts had consistently failed at the point where the thread entered the metal nut which secured them into the supporting frame. Tests have identified fatigue and corrosion (due to oxidation and exposure to chlorine) as the main reasons for the deterioration of the bolts. Ceilings and roofs should be presumed to be fragile until it is proved that they are not. Environmental conditions may cause deterioration of ceilings, roof claddings or their supports, making them incapable of taking a persons weight. Panels should not be used as a working platform unless it has been confirmed by a competent person that both the panels and their supports have been specifically designated for that purpose and are suitable. If repairs are required, seek the advice of designers and manufacturers.